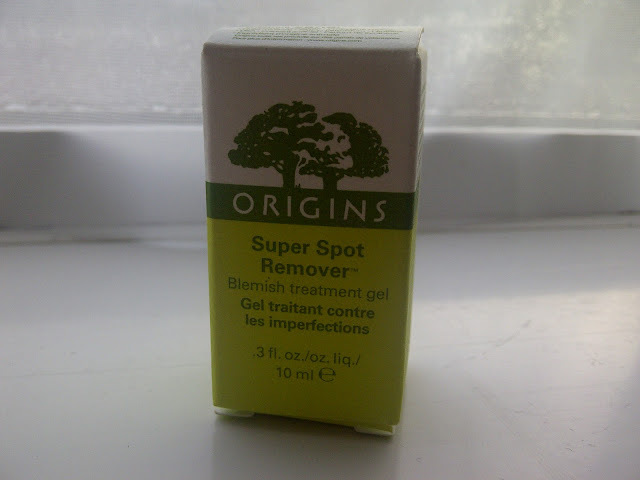 Meg's Boutique: Origins Super Spot Remover: Worth the Hype? So this post probably doesn't require much of an introduction as Origins has become the skin care brand of choice for so many beauty lovers and this product in particular has been raved about by such a huge number of bloggers that it was only a matter of time before I caved in and gave it a go myself...but the big question is, is it worth the hype? 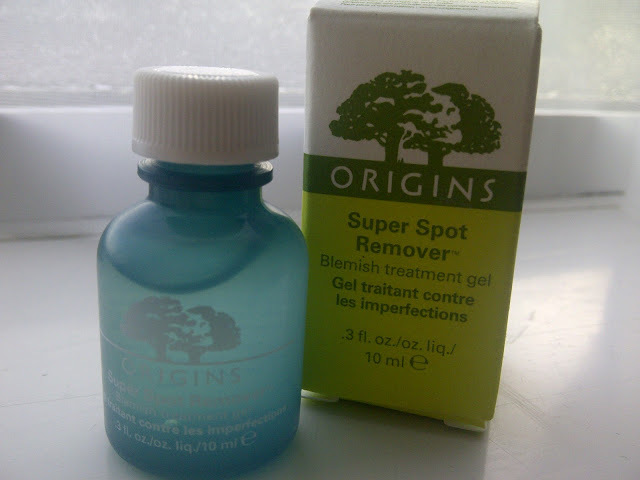 For those that don't know, the Origins Super Spot Remover is a blemish treatment gel that contains Salicylic acid which is supposed to instantly heal, fight and fade spots or breakouts. I've never actually suffered with acne, but I've never had perfect skin either and whenever I'm stressed or not eating well my skin does like to throw a bit of a tantrum so I wanted to find a spot treatment that really works (anyone else had enough of using teenage spot zappers when you're in fact in you're twenties?) and decided it was worth spending that bit more on which is why I forked out a rather pricey £12 for such a little bottle. Don't let the photos fool you, this bottle really is tiny but you actually only need to use a very small amount of product, so not only is it travel friendly but will also last for ages. The actual product is very practical too because it's pretty much invisible so can be worn under make up and allows you to avoid looking like you've got a weird white spotty disease, which is the rather unattractive look I sport when slathering Sudocrem on my break outs. But enough about the product and packaging, what I'm sure you really want to know is does this actually work? Well after a good couple of months testing it out my answer to that question is going to be yes it does, but don't expect it to be a miracle worker. I say this because it certainly does calm spots down and quicken the whole process so you can get rid of your blemishes much faster, but you won't put this on before you go to bed and wake up looking like you've stolen Keira Knightly's complexion. I also find that this stuff is great for when your spots are just brewing under the skin or have become active breakouts, but I find my trusty Sudrocrem is better for healing spot scarring as it's got a softer and more nourishing formula. Not that the the acidic formula makes the spot remover too harsh as the most sensation you'll experience is a slight tingle and tighten, but I just find that a combination of this Super Spot Remover and Sudocrem is perfect for fighting both spots and scarring and it's a combination I'm sure I'll be using for a very long time. So yes I'd really recommend this to anyone who suffers with the odd blemish or full blown acne, but you need to remember that nothing will give anyone perfect skin overnight! Sorry I've been pretty rubbish with my blogging so far this month, uni and life in general have just been so crazy that I've barely had time to open my laptop unless it's to write an essay, I'm determined to get back on it this week though so watch this space for lots more posts and videos! I actually just bought this! luckly, I have pretty good skin but I need a little help with the odd blemishes... and this seems perfect! I've used this for a little over a year and love it! Most products take time. Glad to know that this one worked. I like Origin. great review! might have to go check this out now! I've been wanting to try this for ages! I completely agree with you, there's nothing worse than using a treatment for spots which is clearly aimed at teenagers when you're struggling with the blighters in your twenties! Great review, I'm a massive sudocrem fan too!